You are browsing the archives of GSM Gateway. 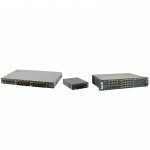 VoIPDistri.com – Leading Distributor of VoIP Telephony brings first hot-swap 3G gateway in Europe B2B marketplace. 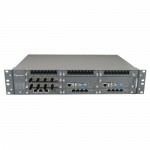 Sales start of new OpenVox UC Platform VS-CHS-2120 by VoIPDistri.com – Leading Distributor of VoIP Telephony! The new unique Hot-Swap modular design enables the solutions are simple to deploy, highly scalable, feature-rich and for the best value. The new OpenVox Unified Communication Platform (UCP) supports FXS, GSM and E1 interface modules and CPU board modules. 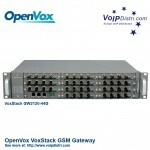 OpenVox has announced to release a 2U high-density VoIP GSM Gateway that supports up to 44 GSM channels, the VS-GW2120 Series. The new Gateway maintains the innovative hot-swap design to support GSM interfaces, leading the high density VoIP GSM gateway to a completely new vision. 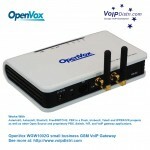 OpenVox today announces to release its new GSM gateway – WGW1002G, the asterisk-based low density wireless gateway. The WGW1002G was designed to meet the needs of SMB by offering them low density (2-port) GSM interfaces with competitive price and small size. It takes full advantages of the stability and flexibility from the Voxstack VoIP gateway family in both performance and software.